Guess Which One Life to Live Fave is Coming to General Hospital?! “Nora Gannon, in my chambers, right now!” We know all you “One Life to Live” (OLTL) fans have waited a long time to hear those words. 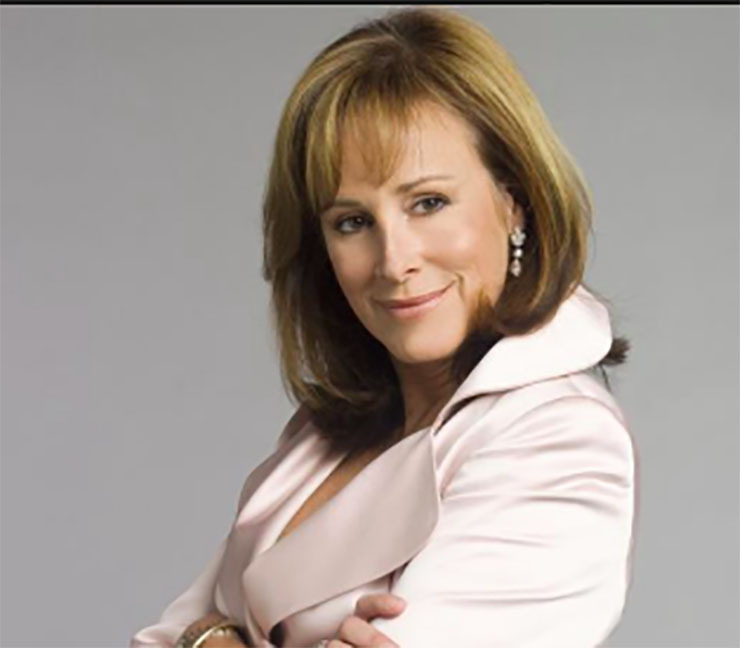 You won’t have to wait much longer, Hillary B. Smith is on her way to Port Charles. OLTL Executive Producer Frank Valentini took to Twitter to let fans know The Powers That Be (TPTB) hear all the passionate “All My Children” (AMC) and OLTL fans out there who want their shows back. ABC exec Nathan Varni recently said that ABC was considering bringing AMC and OLTL characters on to the “General Hospital” (GH) story canvas. And now it’s happened! Nora Gannon (Hillary B. Smith), the iconic Llanview staple, town go-to lawyer, wife of Bo Buchanan, will appear in Port Charles! She’s already been on set, as evidenced by Valentini’s Twitter video, which you can see in full below. Previous ArticleDays of Our Lives February Sweeps: Deimos Gets (More) Demented! Next Article Days of Our Lives February Sweeps: Jennifer, oh, Jenny! I am elated at the announcement of Hillary aka Nora visiting Port Charles and gracing our television screens with her esteemed presence. A consummate professional of savvy demeanor, Smith’s interaction will be a monumental win-win for General Hospital and OLTL fans alike!